My morning routine usually begins with reading the news to keep up on current events. As an antitrust lawyer, I often find myself thinking about how stories that were deemed newsworthy for other reasons fail to recognize their often most troubling aspects: the antitrust concerns. Last week, for example, the news was abuzz with Uber and Lyft drivers going “on strike” to protest their compensation from the companies. The drivers “banded together” in an effort to pressure the companies. Most might see this as a sort of unionization of the gig economy. But I saw it as an antitrust problem: ride referral drivers are independent contractors, so they are not, under well-established federal law, entitled to the union labor exemption from the antitrust laws. They are horizontal competitors who are agreeing to restrain trade. That sort of conduct is called a group boycott, and under these circumstances, it might be per se illegal under Section 1 of the Sherman Act. Another example: on and off for a while now, I’ve seen news about the Academy of Motion Picture Arts and Sciences suggesting that streaming companies like Netflix—who have begun creating original content with a different, disruptive pricing and distribution model—should be ineligible for the Oscars. Steven Spielberg recently suggested a rule change to ban the disruptive streaming platform from the Oscars because, he claims, the theatrical experience is better. He even said “movie theaters need to be around forever.” Spielberg is a board member of the Academy, a founder of two traditional studios, and a producer of theatrical releases. But Spielberg is not just some old school curmudgeon—he has a vested interest in keeping Netflix away from the Oscars, which has tremendous value as a marketing tool. In fact, the Academy comprises a whole a bunch of Netflix’ competitors. This is an antitrust landmine. I thought to myself, “why is everyone missing this huge issue?” I’ve thought the same thing many times after reading many different stories about many different things over my five-year antitrust career. I resolve that I am just an antitrust nerd, but that’s not a bad thing: it’s the reason why clients trust me with their antitrust concerns. The Antitrust Division . . . has learned through news reporting that the Academy . . . may consider proposed rules changes limiting eligibility for the Academy Awards (the “Oscars”). The Division writes to draw your attention to its concerns that may arise if the Academy implements certain restrictions in a way that tends to suppress competition. 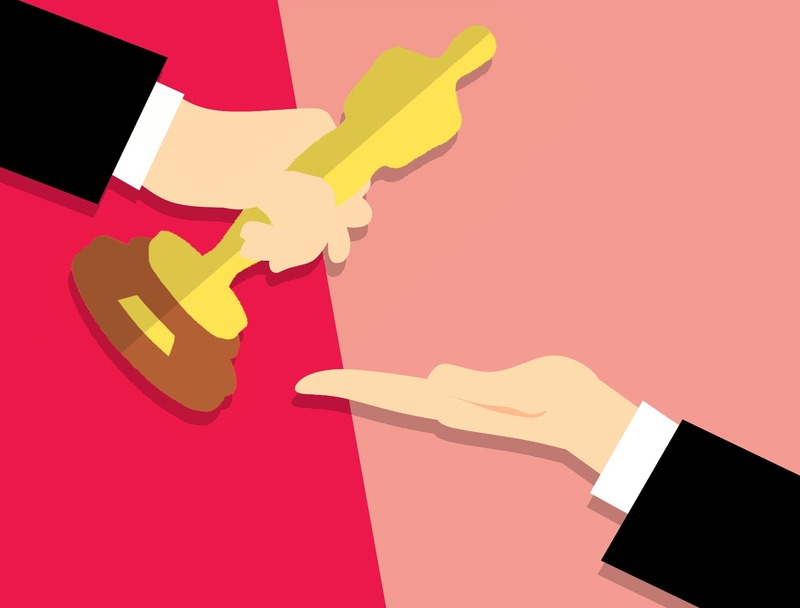 In the event that the Academy—an association that includes multiple competitors in its membership—establishes certain eligibility requirements for the Oscars that eliminate competition without procompetitive justification . . . . [The Sherman Act] prohibits anticompetitive agreements among competitors. Accordingly, agreements among competitors to exclude new competitors can violate the antitrust laws when their purpose or effect is to impede competition by goods or services that consumers purchase and enjoy but which threaten the profits of incumbent firms. See [Northwest Wholesale Stationers, Inc. v. Pacific Stationery & Printing Co.]. In other words: Whatever you’re thinking about doing, don’t do it. This is probably about as nice a warning one can get from the Department of Justice Antitrust Division. But make no mistake, the Academy should tread carefully in crafting its rules. Like any other trade association comprising direct competitors, it would be wise to remember that it is one misguided rule away from an antitrust blizzard of lawsuits by government enforcers and private plaintiffs alike. Maybe Spielberg’s motives are anticompetitive in a different way. After all, it just came out that he has a big-money deal with Apple’s new streaming service, one that hopes to take some of Netflix’ market share. It doesn’t look good either way, but the antitrust concern posed by Academy eligibility rule changes is the bigger problem: incumbent studios and producers control it, and incumbents do not like disruption. In any event, the lesson is clear: if you’re dealing with your competitors in any way—even for something as seemingly innocuous as a trade group awards ceremony, you should consult antitrust counsel. You might start with us—we always have antitrust on our minds.